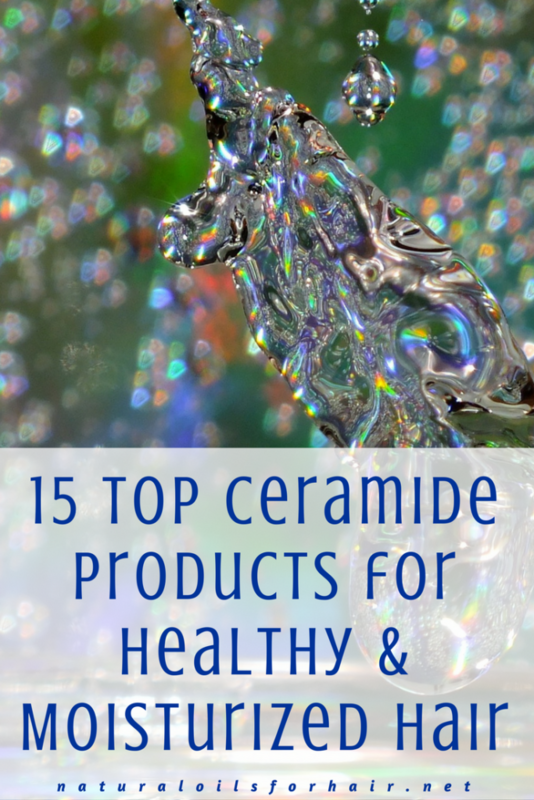 Ceramides are an important part of healthy hair care. Using Ceramides in Natural Oils for Moisturised & Healthy Hair covered what ceramides are and why they are important for healthy hair care and growth. This article will focus on top hair products that contain ceramides and how effective they are in treating dry and damaged hair. Aubrey Organics GPB Conditionernditioner has been a staple of Aubrey Organics for over 45 years now and it’s ideal for rehydrating and rejuvenating dry hair. Apart from wheat germ oil, it also contains glycoprotein and milk protein, organic aloe & horsetail & coltsfoot, all ideal ingredients for fortifying hair, replenishing moisture and strengthening follicles. Its consistency is quite thick and requires a good shake before squeezing it out of the bottle. You can use it as a cowash or a pre-poo once every 2 weeks, and don’t let the name fool you, it’s also ideal for protein sensitive hair. You can read more reviews on Aubrey Organics GPB Conditioner HERE. Ouidad’s Curl Recovery Melt-down Extreme Repair Mask contains CR-4 repair complex, a patented formula from Ouidad. It contains rice bran oil, an ideal oil to include in a hair mask recipe. The product is billed to coat the hair shaft with essential fatty acids, which help rebuild hair strength and protect it going forward. It should leave your hair soft and easy to detangle after use as a conditioning treatment. It comes with a price tag for the 6 oz container. 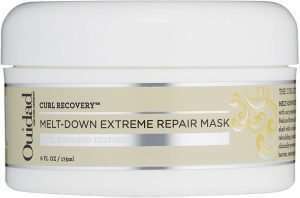 You can read more reviews of Ouidad Curl Recovery Meltdown Extreme Repair Mask HERE. Curl Junkie Curl Assurance Smoothing Lotion contains sunflower oil and is a detangling leave-in which helps moisturize and smoothen hair. You can also apply a little bit prior to styling. It has a vanilla scent and is ideal for dry and quenched hair. 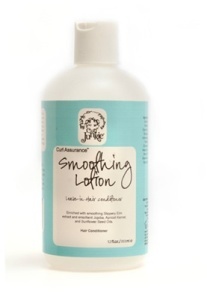 You can read more reviews about Curl Junkie Curl Assurance Smoothing Lotion HERE. 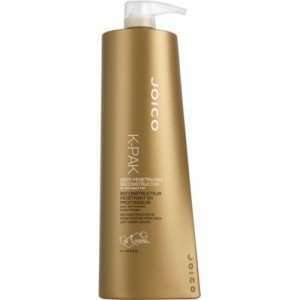 Joico K-Pak Reconstructor is an award-winning product from Joico. It contains safflower oil. Five minutes is all it takes for this product to fortify your damaged strands and renew your curls. It also contains Quadramine Complex, a repairing formula from Joico, which maximizes protection. In order to maximize its effects, always deep condition afterward. It works for all hair types and volumes and is particularly useful for treatment after coloring. You can read more reviews of Joico K-Pak Reconstructor HERE. Oyin Handmade Honey Hemp Conditioner contains hemp seed oil, in addition to honey, silk protein and aloe vera gel. It’s a light texture, which leaves hair soft, silky and manageable. The protein content is also light making it ideal for those whose hair can’t take heavy proteins but still in need of a strength fix. 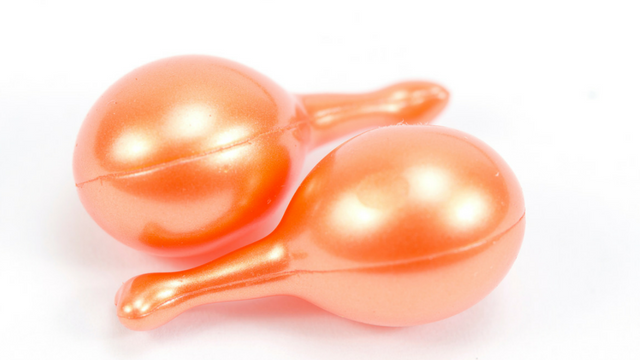 It doesn’t have a long shelf life so purchase in small quantities. You can read more reviews about Oyin Handmade Honey Hemp Conditioner HERE. Lustrasilk Cholesterol + Shea Butter & Mango Conditioner contains 3 superb ceramide oils – soybean oil, safflower oil and wheat germ oil. The combination of these 3 oils in one product makes it an ideal deep conditioning treatment for dry hair. 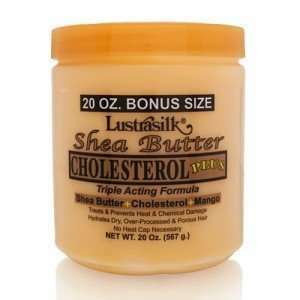 Lustrasilk Cholesterol + Shea Butter & Mango Conditioner is thick and creamy with a pleasant smell. It delivers outstanding value in a huge tub for minimal cost. It appears that this product is being phased out though so I’d recommending stockpiling quickly if this is one of the products that work for you. You can read more reviews about Lustrasilk Cholesterol + Shea Butter & Mango Conditioner HERE. 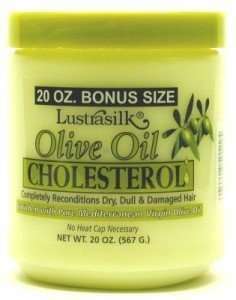 Lustrasilk Olive Oil Cholesterol Conditioner also contains soybean oil, safflower oil, and wheat germ oil. In addition to being used for dry and damaged hair, it also assists with shedding. It is thick and creamy. It should be used as a deep conditioning treatment and as the container said, no heat cap is necessary. It appears this product is also being phased out so stockpiling recommended.